Mohammad Javad Zarif claims Twitter shuts down accounts of "real" Iranians, while failing to shut down anti-government ones. Iranian Foreign Minister Mohammad Javad Zarif on Sunday accused Twitter of closing accounts of "real" Iranians, while failing to shut down anti-government ones backed by the United States, Reuters reports. In August, Facebook, Twitter and Alphabet collectively removed hundreds of accounts tied to an alleged Iranian propaganda operation. "Hello @Jack. Twitter has shuttered accounts of real Iranians, (including) TV presenters & students, for supposedly being part of an 'influence op'," Zarif wrote in a tweet, addressing Twitter CEO Jack Dorsey. "How about looking at actual bots in [the Albanian capital of] Tirana used to prop up 'regime change' propaganda spewed out of DC? #YouAreBots," Zarif added. Iranian media have accused Israel, Saudi Arabia, and exiled opposition groups, including the Mujahideen Khalq which has some members based in Albania, of being behind social media campaigns calling for the overthrow of the Iranian regime. Iran has been facing mounting economic woes since the United States in May pulled out of a 2015 deal between Tehran and world powers that had lifted international sanctions in exchange for curbs on the Islamic republic's nuclear program. Last month, protests broke out over the financial troubles in the Islamic Republic, with some reports indicating that security forces had shot and killed demonstrators during a demonstration in the city of Khorramshahr. The Iranian rial has lost about two-thirds of its value this year under the threat of the sanctions. Iran’s Supreme Leader Ayatollah Ali Khamenei recently accused the United States and Israel of waging a media war to discourage Iranians amid the country’s continued financial crisis. 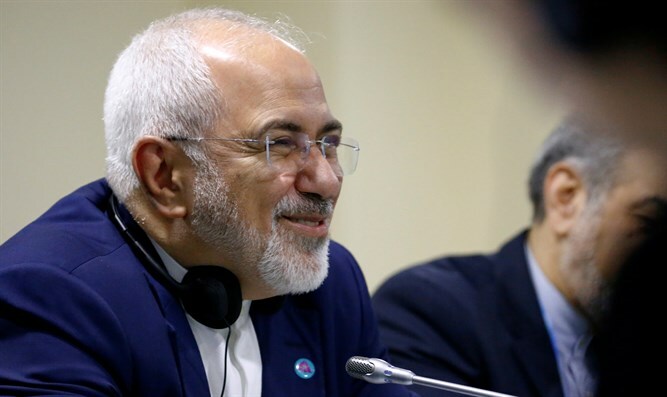 Zarif’s complaints against Twitter come despite the fact that the Islamic Republic is itself notorious for its internet censorship. Tehran blocks access to numerous websites, such as Twitter and Facebook, to stop Iranians from browsing content it considers immoral, or as undermining the regime. In addition, the Islamic Republic regularly detains journalists who are deemed to be against the government. But, despite Twitter being blocked for ordinary citizens, many of Iran's top officials tweet regularly, including President Hassan Rouhani, Khamenei and even former President Mahmoud Ahmadinejad, who joined Twitter in 2017 despite the fact that, while in power, he was instrumental in getting it banned.